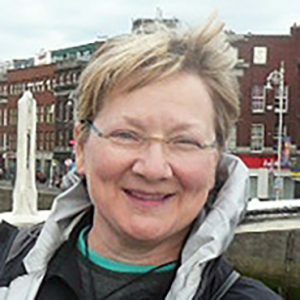 Sharon Kessler (MPA) was a slot editor at the Minneapolis Star Tribune from 2000 to 2010, which followed five years as a copy editor on the Metro and National desks at The Washington Post, two years as the proof desk deputy chief at U.S. News & World Report and two years as a copy editor at the Wisconsin State Journal. Before that, she was a television and radio reporter for a dozen years. She has won SPJ and AP awards for headline writing, projects editing, investigative reporting and radio documentary. Recently, she has been using social media, blogging and multimedia to publicize and direct a nonprofit project preserving a 19th century stone building on the Main Street of her hometown, Bottineau, N.D. She was a visiting journalist in Nice, France in 2014 and 2015.